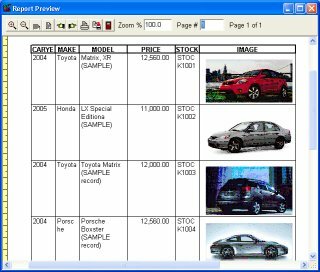 Report wizard lets you create quality, professionally looking documents, car cataloging inventory report, car cataloging summaries, and more. 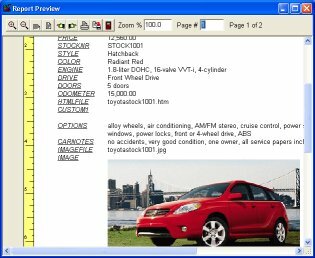 You can define the report characteristic (color, size, margins, graphics,.. ), report layout , report sections (header, footer, ...). You can save settings to a template for future reuse.